How does a single day change one’s outlook towards success? For some of the country’s small and medium enterprises (SMEs)—an unheralded but highly significant sector representing more than 95 per cent of all registered businesses in the Philippines and employing 62 per cent of the labor force—one day is enough to see a world of opportunities awaiting to be tapped. Such has been the kind of discovery local SMEs marveled upon following their jump to e-commerce via the recent Baguio City launch of Ureka Forum, the Philippines’ biggest e-commerce mass conversion program for businesses. 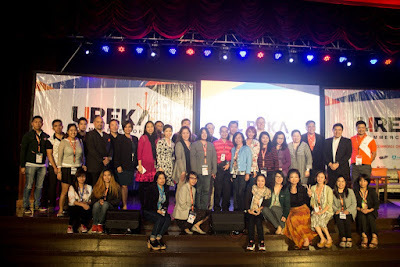 Spearheaded by UnionBank together with its consortium partners—namely Air21, Accent Micro Technologies Inc. (AMTI), Dragonpay, the Department of Trade and Industry (DTI), Panahon TV, PLDT SME Nation, Shopinas, and GeiserMaclang, and e-commerce advocate, Janette Toral—the Ureka Forum concluded the successful transformation of local businesses into global enterprises, integrating technology into their business blueprints to become their unique competitive advantage. Going beyond mere knowledge transfer, the Ureka Forum paved the way for local SMEs to make the jump into the digital arena by providing them their own e-commerce-ready business websites at the end of the one-day program. The digital world has become the new global playground for businesses, what with 3.1 billion people now acknowledged as permanent occupants of the digital world. “For our local businesses not only to thrive and compete but more importantly to survive, we have to be on the Internet and have the passion and grit to succeed in such a highly competitive business environment,” said PLDT SME Nation Head, Kat Luna-Abelarde. Mesh Network to the Rescue!